Handwriting. With growing technology, handwriting is beginning to be obsolete. I’ve even forgot how to spell some words-even the easiest-when writing a handwritten thank you note. Yes, thank you notes should still be handwritten, but that’s another topic on etiquette. (Click HERE to see a blog about handwritten letters). Thanks to my iPhone and spellcheck on the computer, thinking about how to spell is something that I don’t have to do anymore. For some, this could be a good thing, (if you’re in a hurry to send a quick email, or write memo), but for kids, I think that the spellchecker should be taken off — only because the computer is doing the work for them. With a click of the mouse, the word can be corrected. Above is a sample of my handwriting. It’s not consistent at all, but it never is-not even when I try. I want to have good handwriting, (not just because about ten years ago one of my family members commented on my “horrible” handwriting. The truth is, I don’t even like how I write, non-cursive or cursive. Maybe it’s because I don’t do it every single day. This leads me to another thing. When I was taught cursive (many hears ago), I loved it. It made me feel like an adult. Just the word, cursive, sounds fancy. In high school, the teachers-even some who taught me cursive, didn’t care how we wrote-as long as our names were on our papers, the font was Times, and the paragraphs were double-spaced. Times have definitely changed. What do you think about your handwriting, or do you even know what it looks like? Is it the same each time? 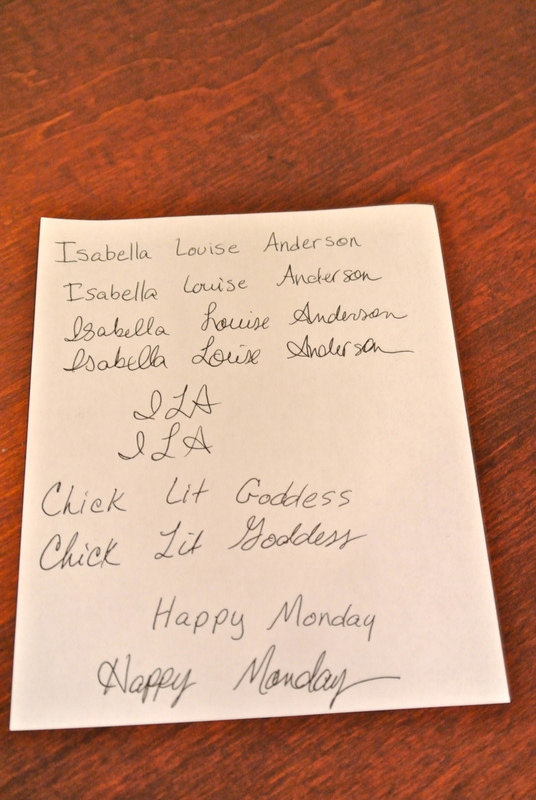 Do you prefer to write cursive or non-cursive? When writing by hand in this modern world, do you find yourself struggling to remember to spell? Thanks so much for your comment! Have a great day! I never lost the cursive training (I had a rather elderly third grade teacher whose mission it was to make us have beautiful handwriting). Now the only time I write in printing is when someone else has to read it. I like to write my first drafts by hand (when I can–but sometimes it is easier to just pull up MS Word) because it adds that extra level of editing. So very true. And don’t forget texting shorthand. I find myself writing “btw” instead of “by the way” when I’m actually writing by hand. I think we use different muscles for typing and for hand writing, because I get a hand-cramp after writing three sentences long hand. Thanks for the thoughtful post. I’m still in ‘old school’ cell phones. No automatic omw’s for me. Heh. How cool.